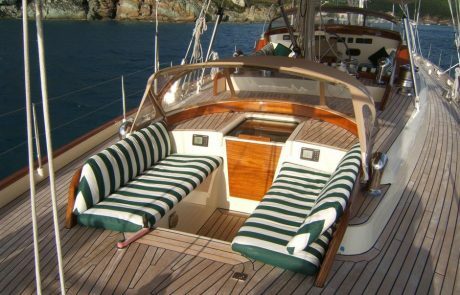 CARMELLA is a modern classic, with elegant lines and just enough exterior varnished teak brightwork to set her apart from all others. 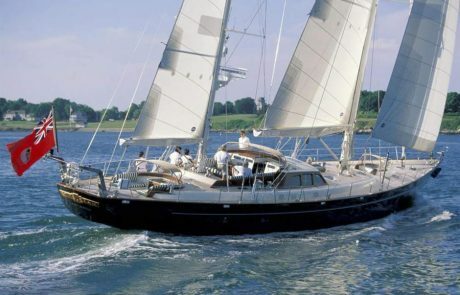 The Yacht is fast and easy to handle on all points of sail, with carbon spars, Park Avenue booms and full hydraulic sail handling with sheets conveniently led within reach of the helm station. 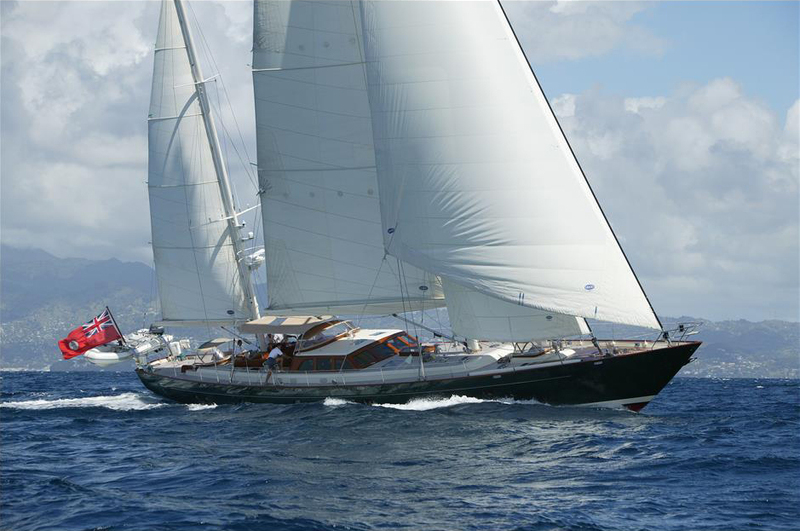 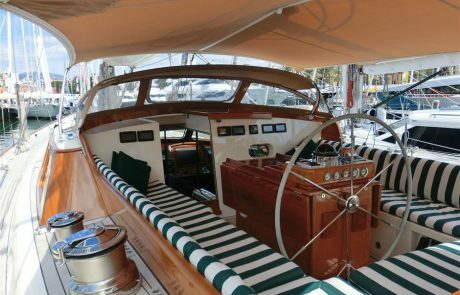 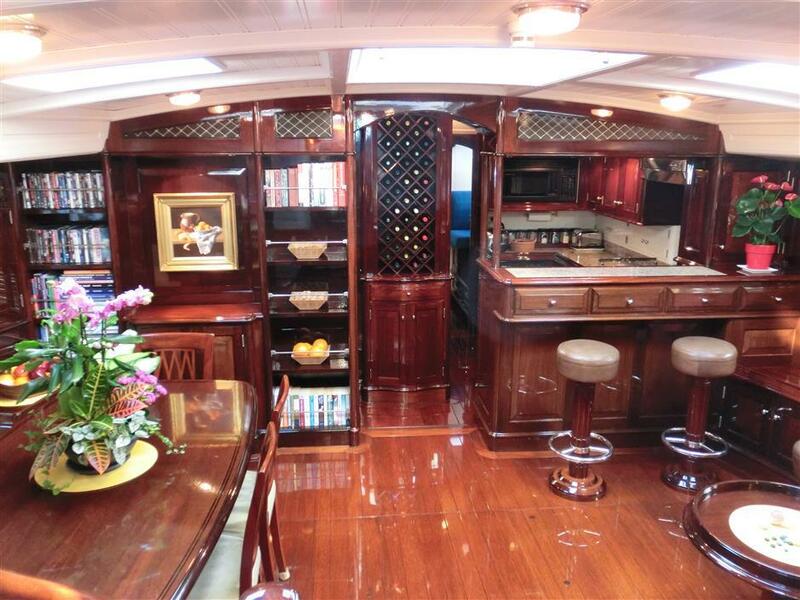 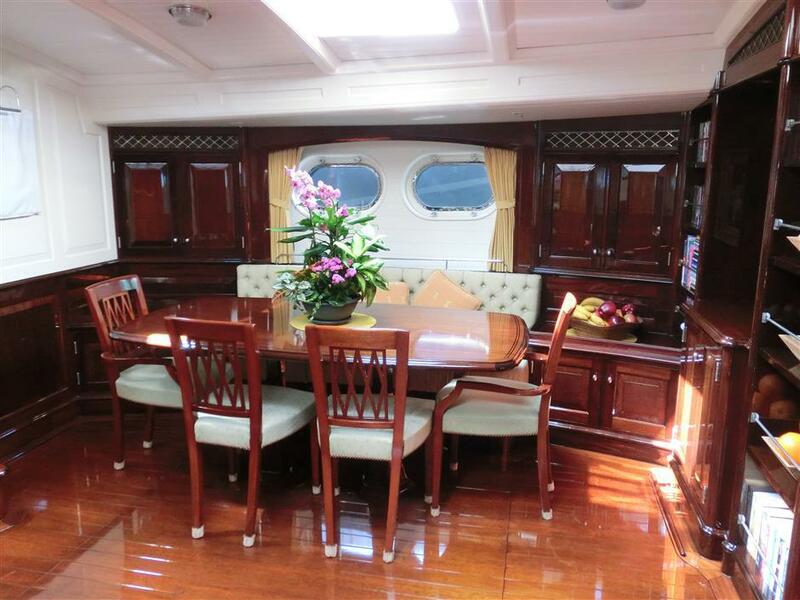 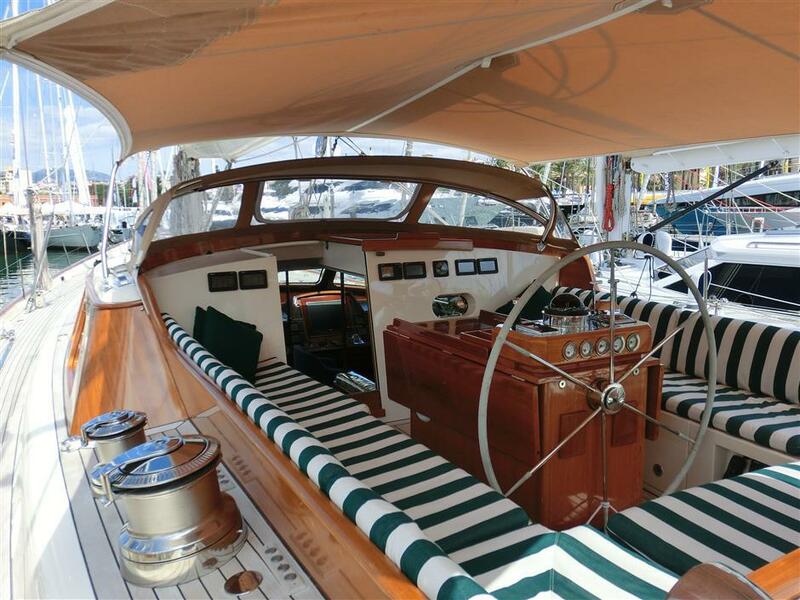 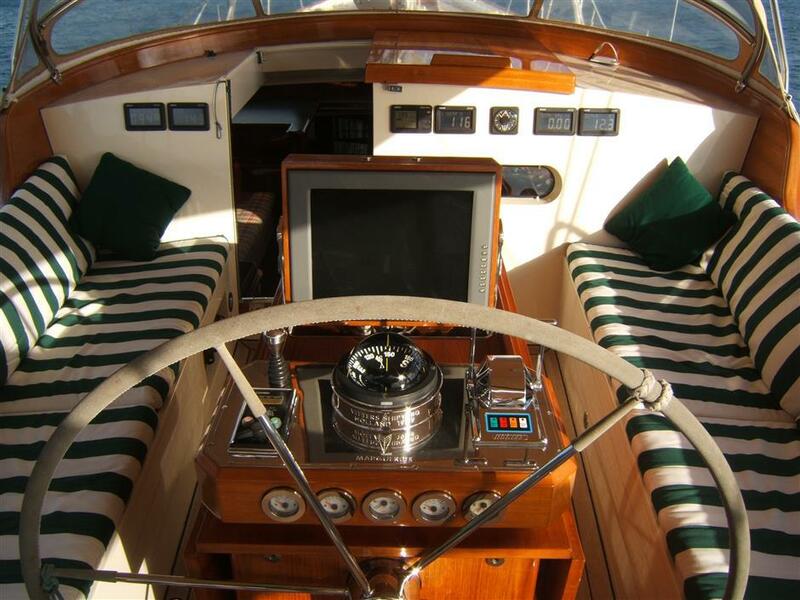 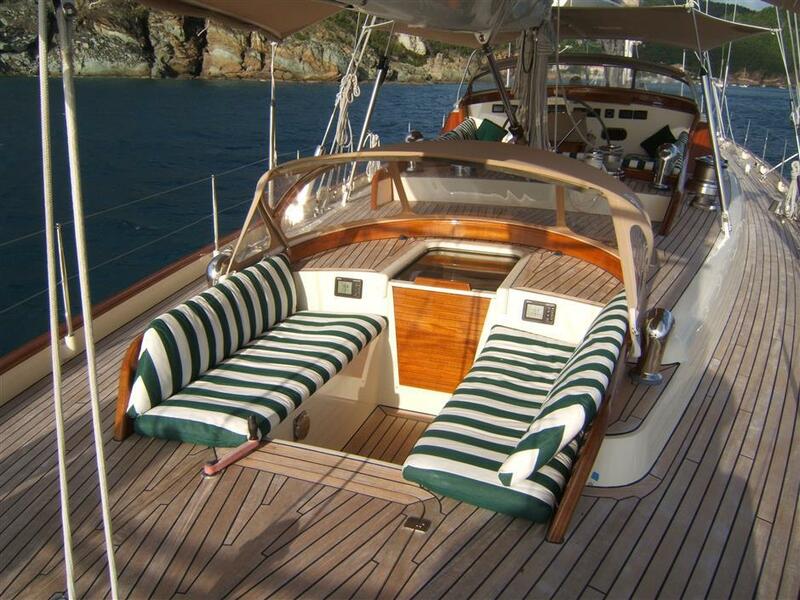 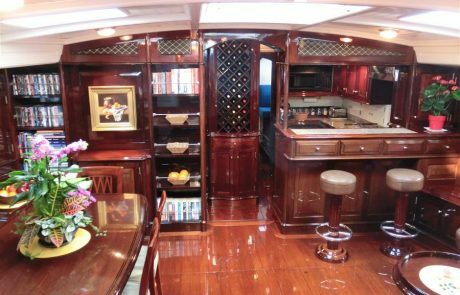 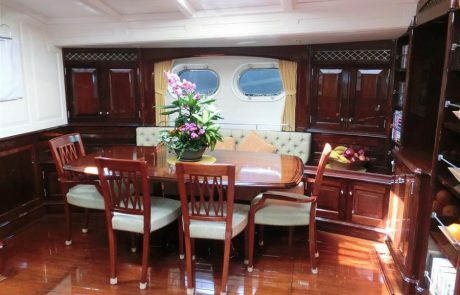 Her classic profile is balanced by fully state of the art rig, sail plan and amenities below decks. 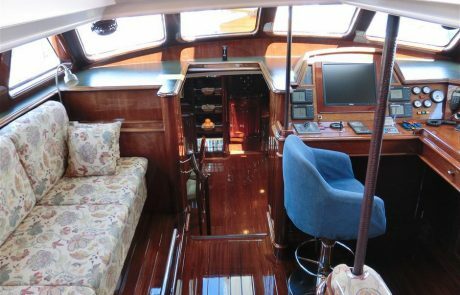 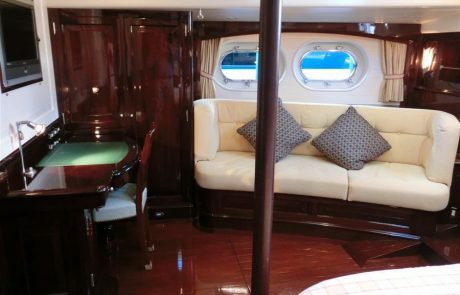 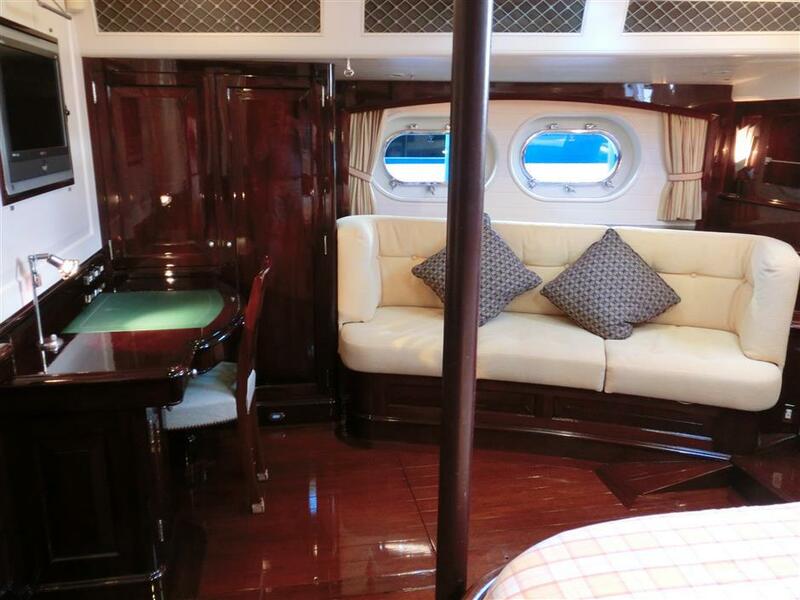 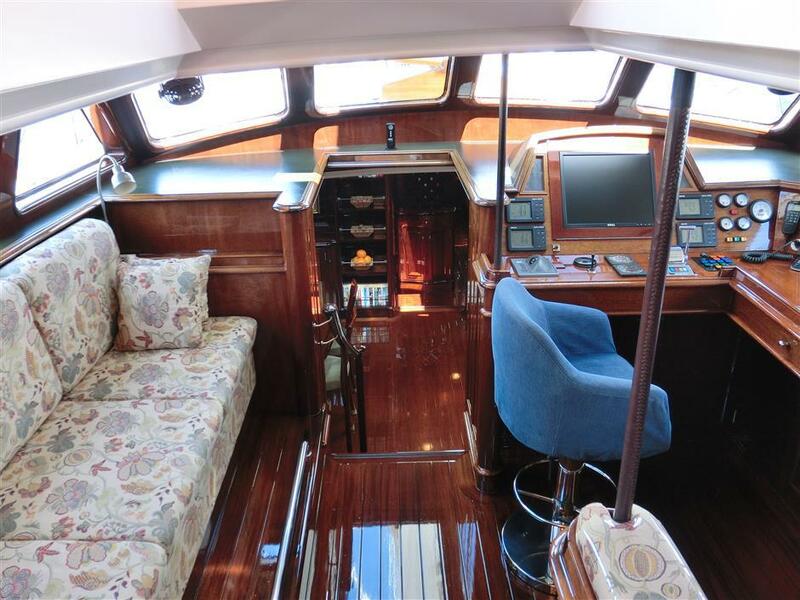 Her interior provides a well­appointed pilothouse area with excellent visibility, full controls, comprehensive navigation and communication station, and a comfortable settee. 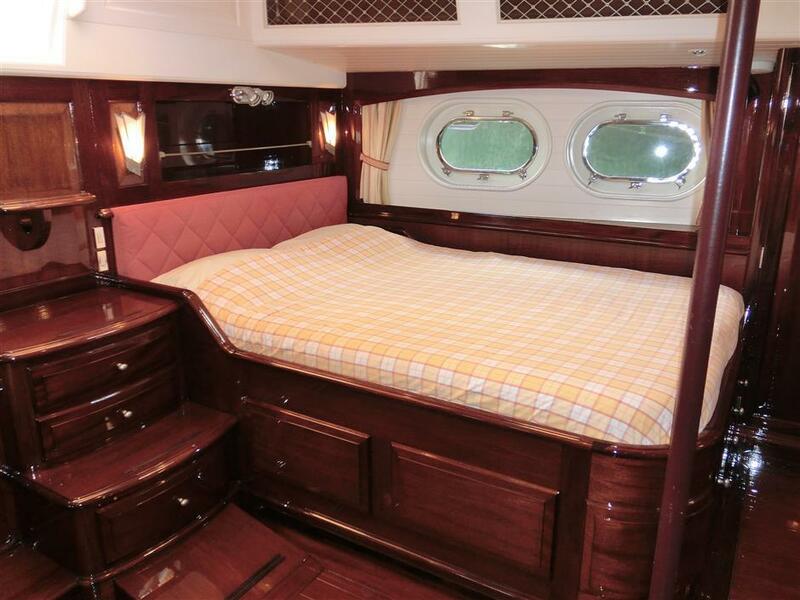 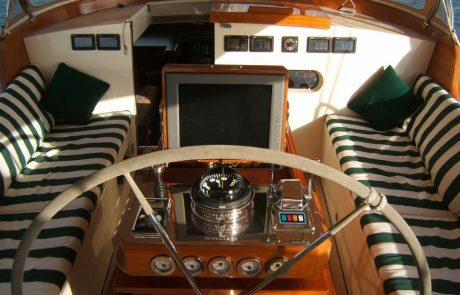 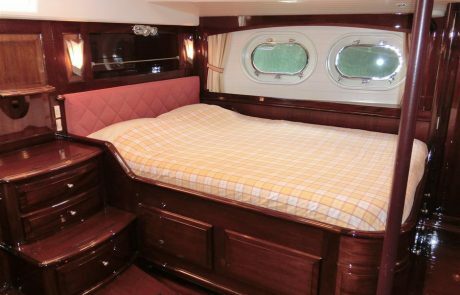 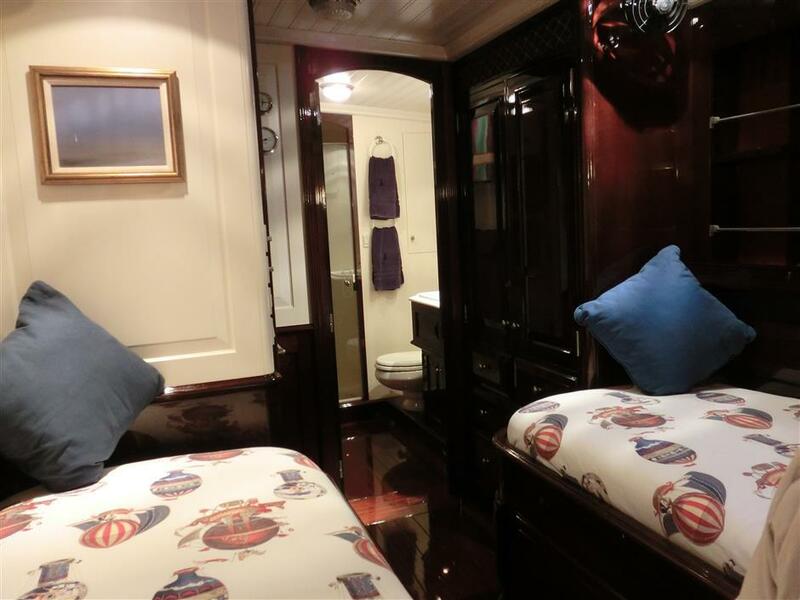 The full­width Owner’s stateroom is aft, with a companionway to the private aft Owner’s cockpit. 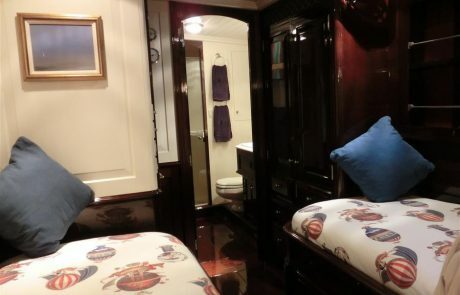 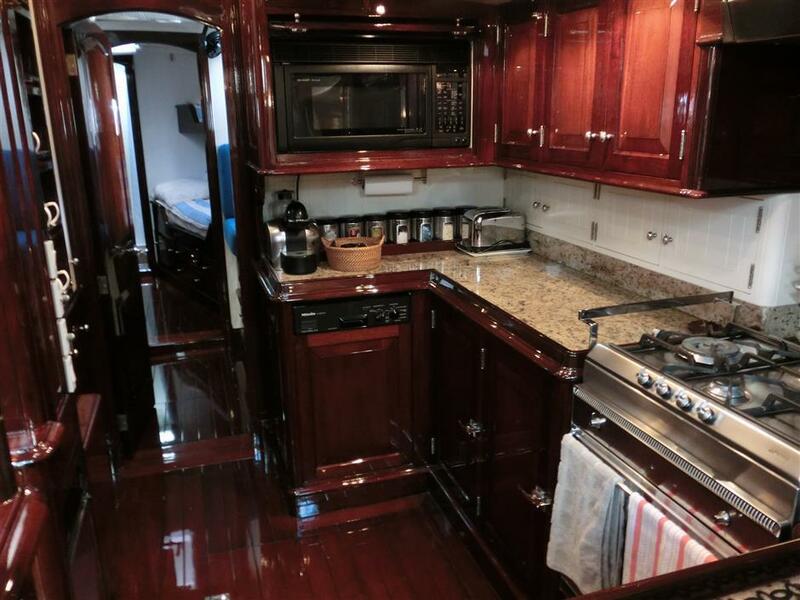 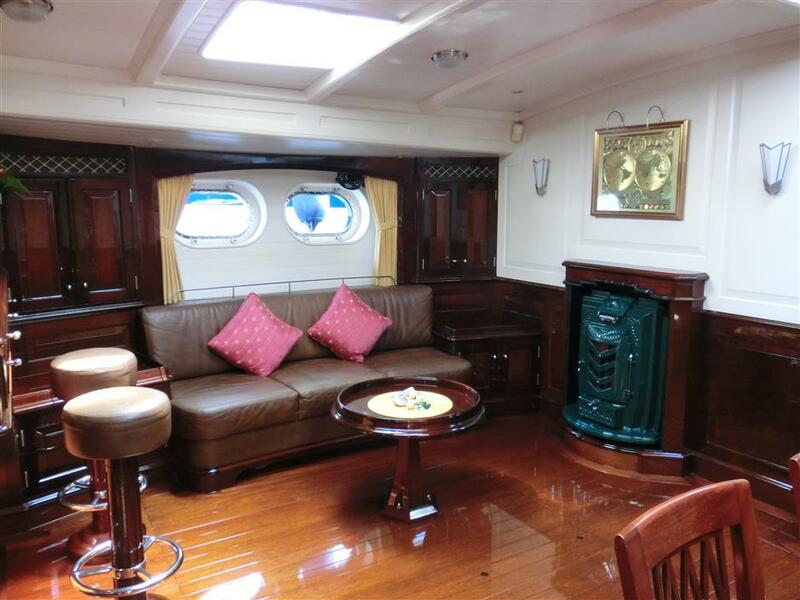 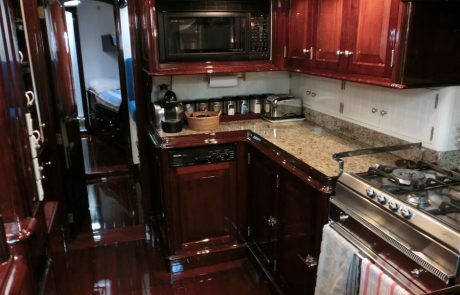 She has two guest staterooms, both with ensuite heads and stall showers, an elegant main salon, gourmet galley and separate crew quarters including office/lounge area.